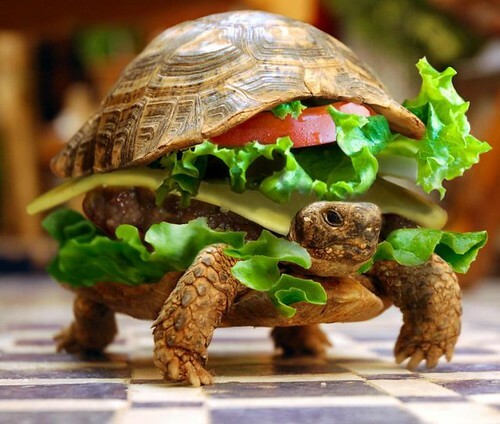 ......hahahehehoho......just messin' with ya.....found this photo on the internet.......... Scroll down for the edible version of the Turtle Burger! A couple of weeks ago there was no umpire for Gannon’s baseball game and it got pretty ugly as the other team’s coach was rather partial. So, when there was no ump for Saturday’s game it was suggested I do it, so I did. They haven’t won a game yet this season but this one they lost due to a ‘bad ump’, according to Gannon. There were a few close base running plays that I stick by my call. The coach’s kid was called out trying to stretch a single to a double. The coach agreed with me, kid didn’t. I did have one pitch that I missed the call, but the beauty there, is I was able to make up for it on a subsequent pitch. So, here we are just in time for Father’s day with a father/son project. For last year’s burger month, we went upscale with the Yowza! Burger, a very complex creation. This year, Gannon and I made this Turtle Burger. It was fairly simple. make 4 1/2 pound hamburger patties. You had me there! I love YOUR turtle burgers. What an adorable idea. Ha – love it! 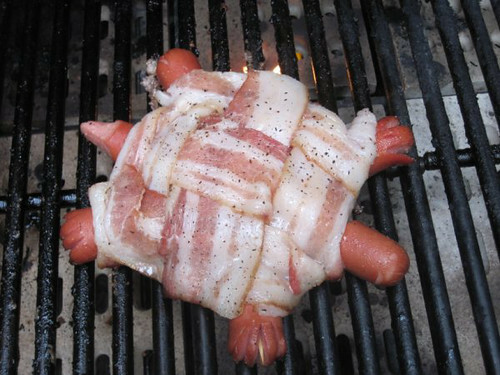 Your turtle burger looks like a great father-son project. 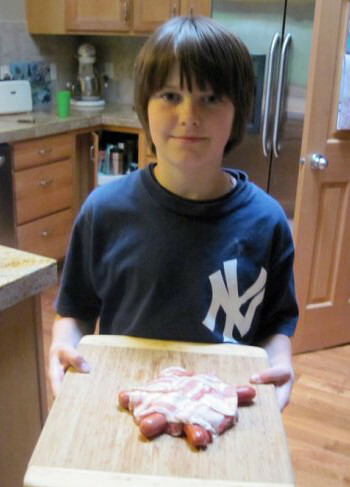 I saw this on one of the full on bacon sites.! How cute! My hubby aka “The Carnivore” would flip over this burger! Is it possible for food to be funny? This is hilarious! LOL What a great father/son moment! Cool looking burgers! I love it. OMG!! Cutest thing I’ve seen all week….at least!!! Too funny:) What a fun project! For a moment, I was appalled! Haha. That’s really quite funny…. Love this! Both pictures are too cute. Looks like your son had a good time putting this together. Looks like something I need to try. I love the picture of the turtle with the burger attire. Great Post. That picture makes me want to cry if it’s real. I really hope someone photoshopped that!!! Wow You had us! I even called my daughter over to show her!